THE IGLESIA NI CRISTO: What Is Iglesia Ni Cristo? The "Iglesia Ni Cristo" (Pilipino for "Church Of Christ") was established on July 27, 1914 in the Philippines. From her humble beginning in Punta, Sta. 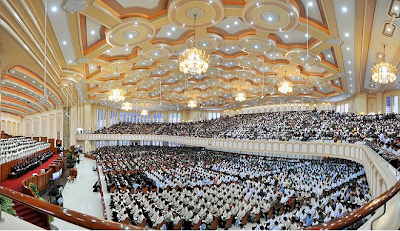 Ana, Manila, the Church is now a global Church with more than 6,000 congregations spread throughout Asia, Europe, Africa, North and South America, and Australia. 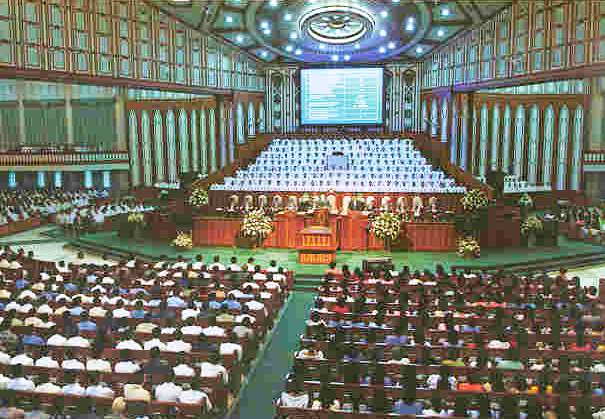 Others describe the Iglesia Ni Cristo as the largest independent Christian Church in Asia, and the largest, most powerful and influential indigenous Church in the Philippines. However, still many people, especially from outside the Philippines, have a little knowledge or information about the Iglesia Ni Cristo, and those little indormation they got from “outsiders” or non-members, and also from detractors and critics of the Church. Thus, their descriptions and information are incomplete and misinforming, if not biased, one-sided, subjective and full of prejudice. The Iglesia Ni Cristo (Church Of Christ) is a religious organization whose primary purpose is to worship the Almighty God based on His teachings as taught by the Lord Jesus Christ and as recorded in the Bible. 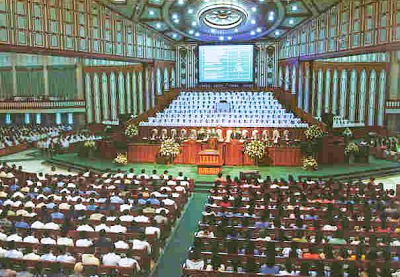 As a religious organization, the Church's major activities include worship service, missionary works, and edification. The solemn gathering of the faithful, the regular congregational worship service, is held by every local congregation inside the house of worship twice a week, usually on Thursdays and Sundays. It consists of hymn-signing, prayers, and study of God's words for proper applications in daily living (cf. I Cor. 14:15 and 26). Also, as a religious organization whose primary purpose is to worship the Lord God, the Iglesia Ni Cristo builds houses of worship as the main center for the religious activities of each local congregation. Moreover, as a fulfillment of God's commandment to His servants to build Him houses of worship for His own glory (cf. Hag. 1:8, KJV). 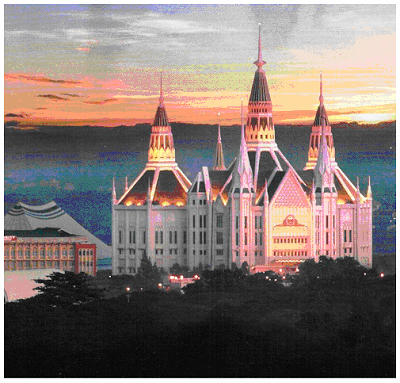 The main house of worship of the Iglesia Ni Cristo is the Central Temple located at Quezon City, Philippines. It was dedicated to God on July 24, 1984, as part of the Church's 70th anniversary celebration of its establishment in the Philippines. 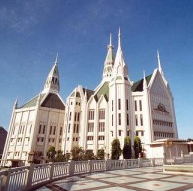 Today, the Iglesia Ni Cristo houses of worship can be found not only throughout the Philippines, but also in different countries where the Church gain foothold. These houses of worship stand as landmarks in every place where it were built. The Iglesia Ni Cristo is an independent Church, not a denomination or sect. It is neither affiliated to any federation of religious bodies nor itself an assembly of smaller religious organizations. The Iglesia Ni Cristo (Church Of Christ) is a true Christian religion that adheres to the unadulterated teachings of the Lord Jesus Christ written in the Bible. We believe in the Lord Jesus Christ, acknowledging Him as Lord and Savior. We also acknowledge Jesus Christ as the head of this Church, because the Church of Christ is His body. However, our beliefs regarding the Lord Jesus Christ is based solely on the teachings of the Bible. 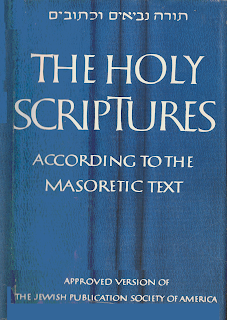 According to Apostle Paul, “For us (referring to the New Testament Christians) there is but one God, the Father.” Thus, the rejection of the belief in Trinity (that there are three persons in one God: God the Father, God the Son and God the Holy Spirit) and her upholding of the biblical teaching that the Father alone is the only true God are among the strong proofs that the Iglesia Ni Cristo is indeed the true Christian religion, the religion that adheres to the pristine Christian teachings written in the Bible. The Church Of Christ is described as a "radiant church, without stain or wrinkle or any blemish, but holy and blameless." Hence, the Iglesia Ni Cristo molds its members toward perfect unity of faith and practice, that each one will be devoted to a life of holiness and service founded on true Christian teaching. Many call the Iglesia Ni Cristo “a Filipino Church.” However, the Church Of Christ is a Church for every one who will heed the call of God and embrace its faith — regardless of his or her nationality, cultural background, social standing, economic status, and educational attainment. The truth is, today, the membership of the Iglesia Ni Cristo comprises at least 120 nationalities. The Church Of Christ is now spread throughout the six continents of the world. The Church has locale congregations in more than 100 countries and territories. We have members and ministers who are Americans, Japanese, Chinese, Europeans, Africans, Canadians, Australians, Indians, Mexican, Brazilian, and from other parts of the world. Indeed, It is Not A "Cult"
(1) A "cult" is "a system of religious or spiritual beliefs, especially an informal and transient belief system regarded by others as misguided, unorthodox, extremist, or false, and directed by a charismatic, authoritarian leader" (Microsoft Encarta Dictionary, c. 2009). However, the Iglesia Ni Cristo has a system of belief based solely in the Bible. Although her teachings differ from many denominations and churches, it is because that the teachings of other denominations and churches are not in the Bible, while the teachings of the Iglesia Ni Cristo are all in the Bible. For example, majority of the denominations and churches believe in the Trinity, however, the term "Trinity" and the doctrine of the Trinity cannot be found in the Bible, while the teaching of the Iglesia Ni Cristo that the Father alone is the only true God is the one clearly written in the Bible (cf. John 17:1 and 3; Malachi 2:10; I Corinthians 8:6). (2) A "cult" is also "an extreme admiration of something or somebody, an idolization of something or somebody" (Ibid.). The Iglesia Ni Cristo worships only God and the Lord Jesus Christ. Her belief about Brother Felix Y. Manalo is plain and simple, that Brother Manalo is the messenger of God in these last days, a man sent by God to preach the Iglesia Ni Cristo and the pristine Gospel in these last days. We don't call him prophet, pope, bishop or of any title, just "Brother Felix Y. Manalo." We respect him, but we do not exalt him, nor worship him. We followed all his teachings because all of his teachings are written in the Bible, and he never invented any doctrine of his own. Thus, the real "cult" or "false religion" are those who dhere unbiblical or unscripturl doctrines, teachings and doctrines made by men. Therefore, the Iglesia Ni Cristo is not a cult, but the true Christian religion upholding the unadulterated teachings written in the Bible because all her doctrines can be found in the Bible. by the Iglesia Ni Cristo are based in the teachings written in the Bible. “Salvation is found in no one else, for there is no other name under heaven given to men by which we must be saved. “There is a deep secret truth revealed in this scripture, which I understand as applying to Christ and the church. “For a husband has authority over his wife just as Christ has authority over the church; and Christ is himself the Savior of the church, his body. Thus, no one can claim to be the One True Church if their Church is not called in the name "Church of Christ. The Bible said, "...there is no other name under heaven given to men which we must be saved." 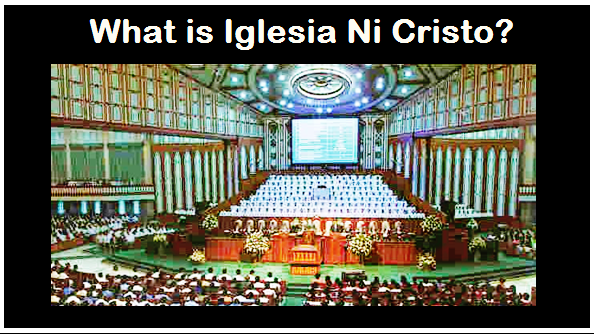 The name “Iglesia Ni Cristo” is the Tagalog for “Church Of Christ” - the name of the One True Church. The Lord Jesus Christ Himself told us that His faithful servants will be persecuted and be put to death, and the multitudes will be led astray by false prophets. Thus, this is the reason why the first century Church of Christ did not remained. 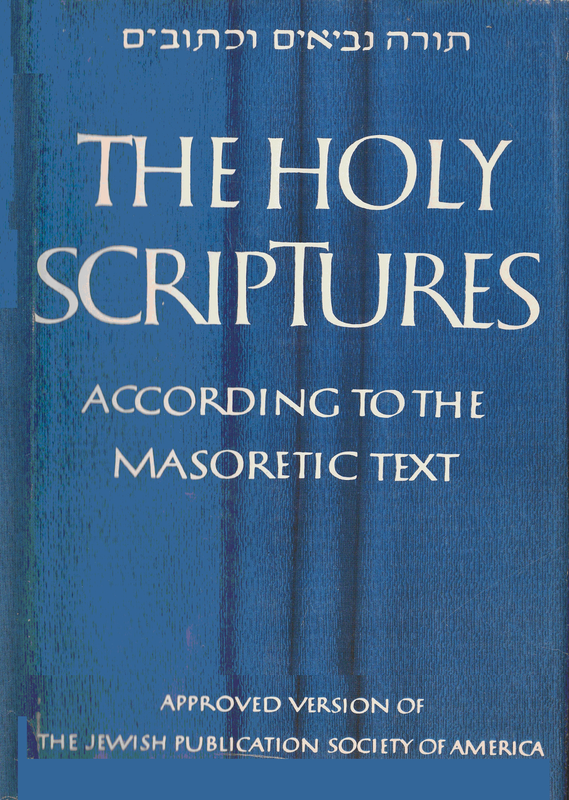 Thus, the claim of the Catholic Church that they succeeded the apostles is not a proof of being the true Christ founded by Christ, but instead, a strong proof that the Catholic Church is indeed the apostate Church, the fulfillment of what the Bible prophesied that after the death of the apostles, among the ranks of the bishops will rise false teachers that will distort the truth. The Lord Jesus Christ said that “other sheep I have.” He called them His “other sheep” because they “are not of this fold.” He will bring them also and they will hear His voice and they will be “one flock.” The “fold” or “flock” mentioned refer to the “Church Of Christ” (Acts 20:28 Lamsa). Thus, when the Lord said that He has other sheep “not of this fold,” He meant, He has other sheep “not of THIS Church Of Christ.” The “other sheep” are not of the Church Of Christ of the first century. Remember that the first century Church Of Christ was apostatized. Thus, even though the first century Church Of Christ was apostatized, Christ said He has “other sheep.” He said that he will bring them also and will be “one flock.” Therefore, Christ prophecy regarding His “other sheep” is His promised of the re-establishment of the Church Of Christ. Thus, the gap between the first century Church Of Christ and the Church of Christ that emerged in the Philippines was because the first century Church was apostatized. However, Christ promised that He will re-establish the Church of Christ. Hence, the emergence of the Iglesia Ni Cristo in the Philippines in 1914 was the fulfillment of Christ’s promise of re-establishing His Church. Thus, we firmly believe that the Iglesia Ni Cristo (Church Of Christ) is not only a religious organization, a Christian religion, but the true Church Of Christ today and God's nation in these last days. If you have question/s, feel free to ask. ALL MEN THAT SHOULD KNOW. Church of Christ is truly amazing. IKINARARANGAL KO NA AKO AY IGLESIA NI CRISTO.